Lets to to the Circus! The Bellingham Circus Guild Circus that is. 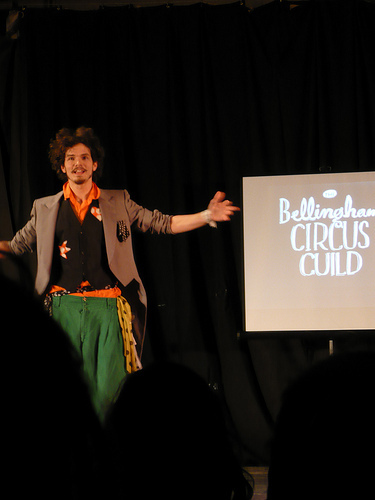 If you are looking for something fun to do then check out the Bellingham Circus Guild. We went to the Vaudevillingham Show that happens once a month. Next one is Tuesday March 15 located at 2107 Iron st Bellingham WA. There are two shows one at 8pm and one at 10pm. They are rated pg so maybe not for the real little ones but the BCG has special workshops for kids to participate in and they have classes in juggling and acrobatics for adults to. 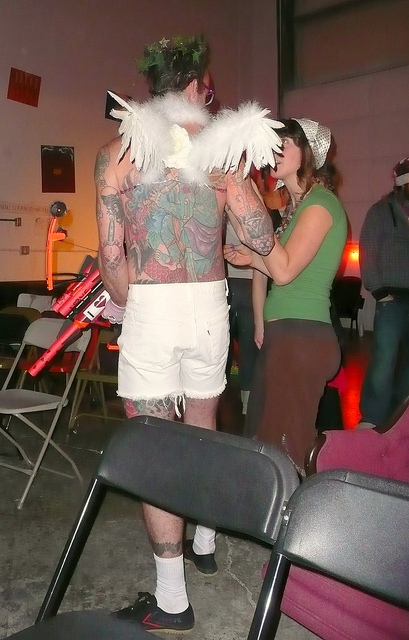 It was a great eccentric, eclectic evening of entertainment. This sounds like fun – I had no idea they performed monthly! !